While it may be great to own land with lots of trees and vegetation, the potential overgrowth can be quite a problem to have to deal with. 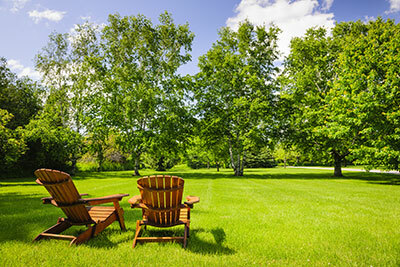 The problem with large amounts of land that have a lot of trees or shrubs on it is the amount of time it takes to clear and clean it up so that it doesn’t become overrun with bushes, weeds, and pests. This can be a hassle with land, but it may just be the case that you just need it cleared out. And whatever you may need it cleared out for or the reason, we will be here to clear it for you. We have become very accustomed to tree service over the years, so we understand how trees can be cared for, but we also understand how to clear them out carefully and well so that its cleared of anything you don’t want there. But this isn’t the only reason that you should have us come out to clear your land. Most people don’t own the tools or time to be able and clear their land by themselves. This can also be a daunting task to get done right, so it is definitely in your best interest to contact a tree service professional to do the job for you. So, whenever you need land cleared, it is normally needed because of overgrowth. Those pesky weeds that get in between and under bushes and shrubs, as well as pests that start to inhabit the untreated growth. Most owners don’t have the tools to deal with these weeds to help get rid of pests, which is where we come in. We have the professional clearing equipment needed to help us get rid of these weeds and overgrown bushes and trees. But another useful thing about the professional equipment we own is the amount of danger it eliminates while we clear the land. A major risk when clearing out your own land is the risk of injury. This can come in many unpleasant forms, and we would like to reduce the chances of your injury one hundred percent so that you can relax while we get the work done. But it’s not just injury in the form of branches falling or thorns, but there is also a risk of sickness when you try to clear the land. Many different pests can carry illness with them, and contact with one is almost guaranteed. We want to completely get rid of these risks for you, so have us come out and get the job done for you. So, with this said, let’s get on to what the clearing will look like. No matter what your land looks like, we will always be happy to come out and clear it or clean it up a bit. You may just have some minor overgrowth that needs to be addressed professionally, or it could be a major job. But, no matter which one it is, we will be happy to clear it for you. Once you have called us and we have an idea of the type of land and what we will have to be clearing out, we will try our best to show and explain what the land will look like once we are done. We will always listen to what you have to say, whether you have any specific requests while we clear the land, or just some friendly advice about certain things to watch out for. 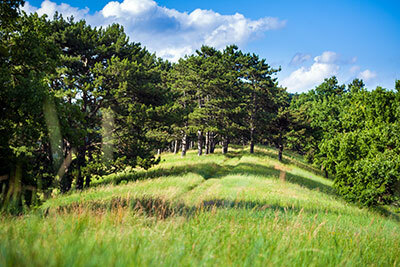 ​We are clearing the land for you, so we make your satisfaction our number one goal. When we come out to clear your land, we won’t just start chopping away and then be off. We will carefully examine the land and what needs to be done first and foremost before we begin the overhaul of clearing. Clearing land is not just a two-step procedure. We will always take careful steps to make sure the clearing of the land is done correctly. Plus, once we’re done, you shouldn’t have to look at any debris, since we will do the clean up as well. And, if you need anything set up or left untouched, we will be happy to leave certain parts of the land there for any plans you may have.